Nobody wants to spend more money on a home than it is worth, but what do you do when you fall in love with an overpriced home? 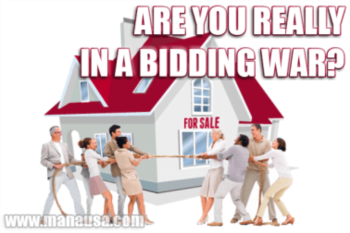 Like most articles published on the Tallahassee Real Estate Website, today's post was inspired by a current situation in which we are helping somebody buy a home. His needs are very specific and unfortunately the one home that we have found that he likes is over-priced by as much as 35%. First of all, you should not even be looking at homes that are overpriced. Why? Because nothing good is going to come from it. 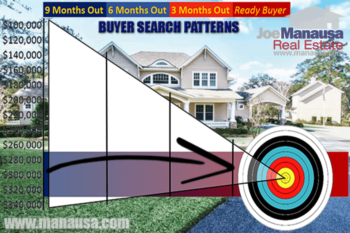 Sellers that are asking an amount far higher than the market will bear are simply not motivated (right now) to sell their home. In Tallahassee, the average ratio of sales price to list price is about 97%, meaning (on average) homes sell for 3% less than the asking price. But does this mean that sellers get 97% of what they are asking? It means that sellers who are priced correctly are averaging 97% of their asking price, while sellers who are overpriced are getting nothing. If you follow a smart home buying process, you avoid looking at overpriced homes so that you end up buying a home at fair market value or better. But what do you do when you follow a smart home buying process and there is literally nothing out there that fits your needs except for an overpriced listing? Well, if you have plenty of money you could obviously just pay what the seller is asking. But if you are financing the house, be advised that the lender is only going to lend against the value of the home, not against what you agree to pay for it. If you are getting a conventional loan that requires a 20% down payment, bear in mind that the lender will only finance 80% of the appraised value. 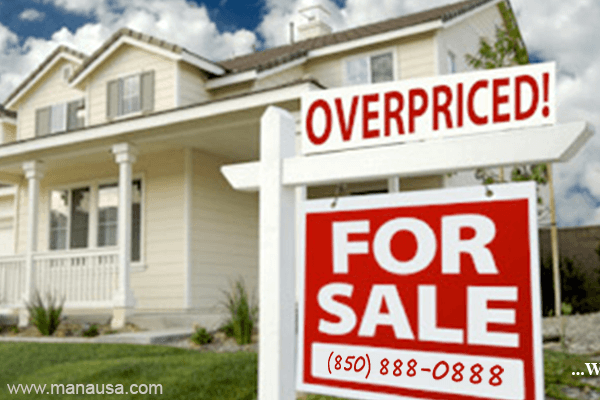 The situation that prompted this article where the seller is grossly overpriced would require our buyer to more than double his down payment due to the excessive price of the home. We are preparing an offer for the seller that is going to ask the seller to "put her money where her mouth is." The offer will be at full price, but will contain a key contingency. The seller will pay our lender's appraisal fee up front, and both parties will await the appraisal (it is important that it be a purchase appraisal through a lender, not one ordered by the seller with no lender liability attached). If the appraisal comes in at the seller's asking price, then our buyer will proceed to closing. If it comes in short, then either party can cancel or the parties can come to an agreement on price. The language in the contingency must be perfect in order to protect the buyer from getting invested in a home that has already been on the market for four years. It's an obvious sign of an inexperienced real estate agent working with an unmotivated homeowner, so the prospects for a home sale are not high. This scenario is just one example of why you need a well-trained real estate buyer's agent to protect you. The language that we will use in the offer is not something they teach in the real estate licensing courses. A typical buyer putting a contract on an overpriced home ends up losing more than $1000 in inspection fees and appraisal fees, and it happens because they weren't prepared for an outcome that their agent should have known was coming. Take the time to interview buyer agents until you know your interests will be protected. Do this long before you plan on buying a home, so that they can show you a process that will save you money at every step along the way. If you'd like to talk to one of our real estate buyer's agents, just drop me a note and we'll be in touch right away.